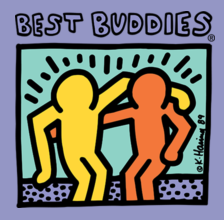 Please join Team Idalou as we participate in our first Best Buddies Friendship Walk on Saturday, April 27th. The event will start at 9am at the Buddy Holly Recreation Area on N. University Ave & Cesar Chavez Drive. This is a free event, but donations are greatly appreciated. The donations will go towards supporting inclusion for individuals with intellectual and developmental disabilities. You can join Team Idalou online by registering and searching for Team Idalou at bestbuddiesfriendshipwalk.org/Lubbock. Please wear an Idalou shirt so we can all join together during the event. If you have any questions, please contact Amy Estrada ataestrada@idalouisd.net or 892-1900 ext. 1116.